Readying itself for the surge in motorcycle sales during the fast approaching festive period, Yamaha Motor India Sales Pvt. Ltd has come up with a new special edition of its popular street-naked, the FZ-S FI. Dubbed as the ‘Dark Night’ edition, the new motorcycle has been launched alongside similar special variants of the Saluto RX and the Cygnus Ray ZR. The new 2017 Yamaha FZ-S FI Dark Night comes with a matt black paint job with chrome graphics to give a bespoke look to the motorcycle. The new FZ-S FI Dark Night has an ex-showroom price of Rs 84,012. The new Dark Night variant of the FZ-S FI has gone on sale at an ex-showroom price of Rs 84,012. Compared to the regular model, the new special edition is roughly Rs 1,000 costlier. However, the slight price premium is justified through the special paint job. The new Dark Night edition is simply a cosmetic upgrade. There is absolutely no change in the specifications of the new motorcycle. It continues to get its juice from a 149 cc, single-cylinder, fuel-injected engine that comes mated to a 5-speed manual Transmission. The engine produces a maximum power of 13 bhp @ 8,000 rpm and a peak torque of 12.80 Nm @ 6,000 rpm. The engine is known for delivering a good mix of performance, mileage and refinement. As there are no changes in the specifications of the motorcycle, even the mileage remains the same. 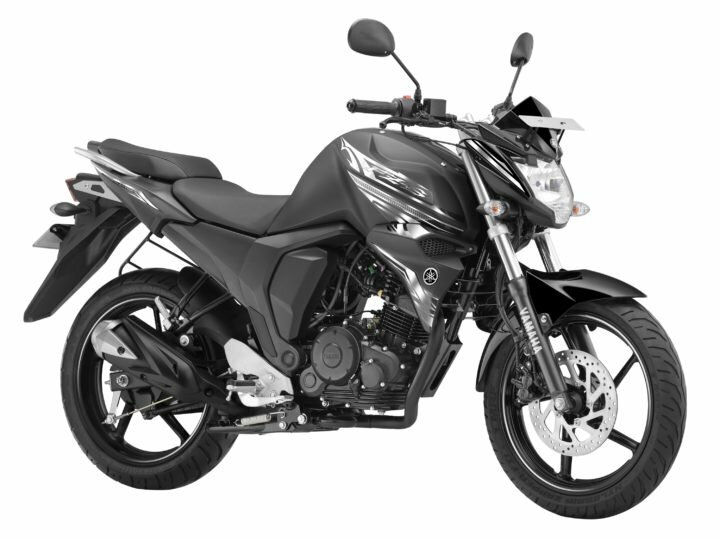 The FZ-S FI can deliver a maximum mileage of 50 KMPL. IN most conditions, the bike can offer an average mileage of roughly 45 KMPL. The new special edition of the FZ-S FI doesn’t get any changes to its design or technical specifications. The only differentiation between the Dark Night and the regular models comes from the special paint job that the former comes with. The new 2017 Yamaha FZ-S FI Dark Night has a matte black paint job that is complemented by chrome decals. Further, the fact that this bike comes with black-painted engine goes on to give the motorcycle an all-black finish. Other than the special paint scheme, the bike continues to offer a really butch styling. The FZ series of bikes has already garnered a fan follwing owing to its muscular looks and strong street presence. The new Dark Night special edition will only enhance the visual appeal of this popular Japanese motorcycle in India. So, what do you think of this new special variant? Will you buy it over the regular model? Do you think the price premium this limited model commands is justified? Do share your views by penning them down in the comments section below. Also, watch this space for more on the 2017 Yamaha FZ-S FI Dark Night special edition.